There are few more iconic venues in Melbourne than Crown Casino. Situated along the banks of the Yarra River, Crown is a living, breathing tapestry of retail, hospitality and entertainment, and as such, is a venue that requires ultimate security. Fortunately, this is now a reality following the recent implementation of various products from Aus tralian Bollards in a range of locations around the complex. 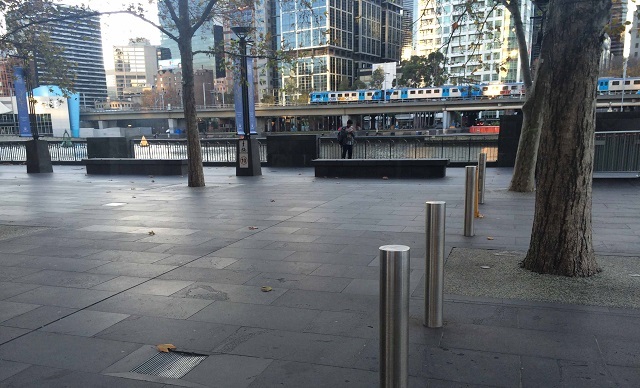 Stainless steel bollards have been installed in the space between the bridge and the Southbank entrance, offering not only increased protection but a sleek, architectural statement. 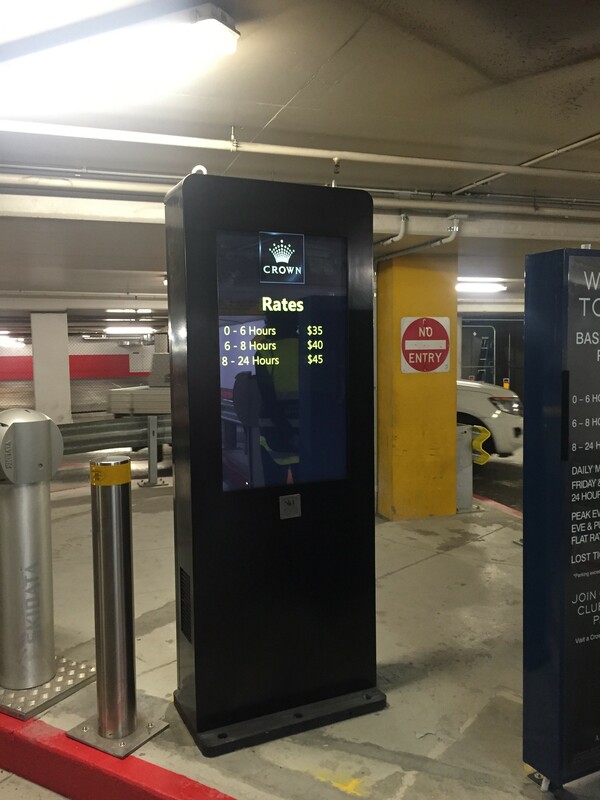 There have also been a series of stainless steel bollards fixed within the Crown carpark, where they will be utilised in conjunction with NJM Group’s ED-S units in order to prevent damage to the machines. These ED-S’s are equipped with Nano touchscreen technology where messages, graphics and video content can be transmitted from a personally operated computer via the display screen of the device, enabling improved parking navigation. So the next time you swing past Crown for a game of poker or a bite to eat, rest assured you are under the quality protection of the dedicated team at Australian Bollards.